The house itself is gone now, sacrificed on the altar of the bustling realtor; but there still must be New Yorkers who can recite offhand the exact dimensions of Mrs. Astor's ballroom. Others were larger — but that is just the point. For it was the restricted capacity of the Astor dance hall that in the golden year 1892 first set an arbitrary limit on the number of persons worthy of a place at Society's table. The phrase, 'Four Hundred', had a very practical origin. It was, simply, the greatest number that could be accommodated comfortably in the Astor ballroom. Quite possibly, Mrs. Astor was not instantly aware of the terrible significance her architect had fashioned into those magnificent four walls at 350 Fifth Avenue. After all, she was busy preparing for her annual ball and had merely asked Ward McAllister, a social authority almost as noted as herself, to assist her in making out her guest list. Almost as an afterthought, she warned him that space was unavailable for any more than 400 of the substantially proportioned individuals who in that day formed the foundation of the usual guest list. But Ward McAllister must have seen the historic importance of the moment, for he later defended his list to a reporter from the New York World. "Why, there are only about 400 people in fashionable New York Society," he explained. "If you go outside that number, you strike people who are either not at ease in a ballroom, or else make other people not at ease. See the point?" The reporter — and everybody else — saw the point all right. No Czarist ukase ever stirred the variety of emotions that bubbled in the wake of this offhand proclamation. For, although the voice was the voice of the courtier, the hand was that of the queen. Mrs. Astor, whom Frank Crowninshield, editor of Vanity Fair, called "the most portentous figure in the social history of America," had spoken and there was no appeal from her decision. This was, of course, THE Mrs. Astor, who haughtily disdained the identifying prefix, William. By that time she had been ruling Society for nearly twenty years and she would continue to hold the scepter firmly right up to her death sixteen years later. To be sure, the innovator, Mrs. Stuyvesant Fish, was to challenge Mrs. Astor's power often in the interval, but since the queen herself made no public acknowledgment of this impudence, her absolute power was never seriously threatened. Born Caroline Webster Schermerhorn, she early had entrenched herself behind the fur-trading, real estate treasure of old John Jacob Astor I, by marrying the second son of William Backhouse Astor. Her parents-in-law lived on the whole quietly, attending only irregularly Society's fêtes and showing a marked backwardness in promoting the family name in Fifth Avenue drawing rooms. True enough, the Astors by that time had no need of social exploitation. They had arrived; they were Astors. That, the family considered, was enough. Carrie Schermerhorn, however much she might approve the graciousness of such an outlook, nevertheless felt that it was the family's responsibility to take the lead in Society, lest someone less worthy usurp the privilege. Indeed, as a young bride, she confided over the tea table to a friend that she was appalled by the apparently undirected paths into which Society was wandering. "Why," she exclaimed, "who would you say was the unquestioned leader of Society right now? Everybody is just going wild, inviting all sorts of people to their receptions. I don't know what has happened to our tastes." Certainly, Society was spending enough money and much of it was going for the outlandish. Such as the time Mrs. Lorillard Ronalds appeared at one of her famous receptions in the old Leupp mansion at Madison Avenue and 25th Street with gas-jet stars stuck in her hair and the gas reservoirs cunningly hidden in her dress. So Mrs. Astor, dutifully making her rounds to affairs given by the August Belmonts, et al., quietly determined some day to become the strong hand Society cried out for. As it was, her ascendency was postponed while she busied herself with having and bringing up her son and four daughters. But when it came time to introduce her progeny into Society, Mrs. Astor boldly stepped forward to the throne. Simultaneously she came into contact with Ward McAllister, and a first look convinced the latter that here was a leader worthy of his services. In his memoirs, Ward McAllister later examined his first impression of Mrs. Astor: "At this period, a great personage (representing a silent power that had always been recognized and felt in this community, so long as I remember, by not only fashionable people, but by the solid old quiet element as well), had daughters to introduce into society, which brought her prominently forward and caused her at once to take a leading position. She possessed a great administrative power, and it was soon put to good use, and felt by Society. I then, for the first time, was brought in contact with this grande dame and at once recognized her ability, and felt that she would become Society's leader, and that she was admirably qualified for the position." Unfeeling people might point out that the $50,000,000 fortune at Mrs. Astor's command also was a prime qualification, but in view of the circumstances such a conclusion is unfair to the Savannah gallant. By the time Mrs. Astor was ready to take charge, Ward McAllister was already accepted as Society's arbiter and he could have had his choice of two score or more bank books just as impressive as Mrs. Astor's. A member of an exquisite, if impecunious Southern family, Ward McAllister studied law for a time; but it was obvious his talents lay elsewhere and when he ultimately joined the law firm of his father and brother in California he was placed in charge of entertaining the firm's clients. From the outset, his motto was simple: 'Always invite nice people', and his father, although somewhat dismayed by the bills which came across his desk, nevertheless had to admit that Ward 'has a feeling for the right thing'. Naturally, after his marriage to the granddaughter of Thomas Gibbons, one time employer of Commodore Vanderbilt, Ward McAllister indulged in the Grand Tour — an expedition which led him into the most famous of Europe's dining halls. He supped with Queen Victoria's chef in England, then went on to Florence, where, by bribing a fashionable physician, he secured invitations to the balls of the Grand Duke of Tuscany. Back home, he repaid one of his hosts, the Earl of Roseberry, with a dinner that left the visiting nobleman breathless. "You Americans!" exclaimed the flushed Britisher. "You Americans have made a mistake. Your emblematic bird should have been a canvasback, not an eagle." After such successes, it is understandable that McAllister could afford to be choosy in the bestowal of his unique allegiance. "We wanted the money power," he admitted cheerfully, "but not in any way to be controlled by it." In other words, McAllister demanded both breeding and money of his peers; while he insisted that no individual was 'acceptable' unless backed by "four generations of gentlemen," he nevertheless preferred that a man's wealth be available in vast quantities. "A fortune of only a million is respectable poverty," he proclaimed. One must not waste one's time, he felt, on a man who relies "solely on his pedigree . . . who has the aspirations of a duke and the fortunes of a footman." Yet one need not cut him. "It is better to cross the street and avoid meeting him." Here was a man after Mrs. Astor's own imperious heart and she grabbed him. Together they plotted Society's destiny and came up, for a starter, with the Patriarch Balls. Their objective, as McAllister later pointed out, "was to make these balls thoroughly representative; to embrace the Old Colonial New Yorkers, our adopted citizens, and men whose ability and integrity had won the esteem of the community. We knew then and we know now, that the whole success of these Patriarch Balls lay in making them select; in making them the most brilliant balls of each winter; in making it extremely difficult to obtain an invitation to them, and to make such invitations of great value; to make them the stepping stone to the best New York Society, that one might be sure that anyone repeatedly invited to them had a secure social position, and to make them the best managed, the best looked-after balls given in this city." And from the very beginning, the Patriarch Balls served McAllister's — and Mrs. Astor's — lofty purpose. They were, in effect, Society's training camp, its preparatory school, a weeding-out ground. The successful candidates were rewarded with invitations to the greatest social event in America's history, the party that broke more hearts than any event before or since — Mrs. Astor's Ball. The ball was held on the first or second Monday in January — and its guests were assured of social acceptance by their attendance. For Mrs. Astor's rigidly censored guest lists immediately became the unquestioned Who's Who of New York Society. To be bidden to Mrs. Astor's Ball was to be in Society. To be omitted, was to be out. And yet the Astor Ball probably was the dullest social event of the epoch. Mrs. Astor was a proper creature; she believed in long drawn-out dinners, at which the guests stuffed themselves with depressingly heavy provisions, and in elegant conversations that left no loopholes for wit lest the solemn atmosphere be disturbed. The decorations were weighty and the service was staid; the favors were rich rather than clever, and the music was unexciting — and beyond reproach. "One was no longer content with a dinner of a dozen or more, to be served by a couple of servants. Fashion demanded that you be received in the hall of the house in which you were to dine by from five to six servants, who, with the butler, were to serve the repast. The butler, on such occasions, to do alone the headwork, and under him he had these men in livery to serve the dinner, he to guide and direct them. Soft strains of music were introduced between the courses, and in some houses gold replaced silver in the way of the plate, and everything that skill and art could suggest was added to make the dinners not a vulgar display, but a great gastronomic effort, evidencing the possession by the host of both money and taste." Mrs. Astor met these standards rigidly. Her guests would enter through a long side hall set with bric-à-brac and statuary and overwhelmed with the perfume of flowers. ("Orchids, being the most costly of all flowers, were introduced in profusion," recalled McAllister.) To the left were the reception room and the grand staircase, to the right were three connecting parlors, one in garnet, the others in blue. Mrs. Astor invariably received her guests alone, standing under the portrait of herself by Carolus Duran, generally dressed in velvet of her favorite purple or green, and wearing the famous stomacher of diamonds said to have belonged to Marie Antoinette. On her black wig — her hair was falling out — was a tiara of diamonds, and the corsage would be either of orchids or of roses — or both. On various occasions, the hostess would favor white satin embroidered with pearls, with a train of green velvet, at which time she would wear her famous emeralds. Indeed, her dress was a constant problem to the grande dame, for she sought always to wear as many of her jewels as possible and even in that day the ludicrous could be achieved. Besides, the gems often were a source of physical discomfort. Mrs. Astor's regal poise, so frequently noted by breathless society editors of the day, as often as not was caused by the great brackets of diamonds overspread on her back, which prevented her from sitting back in her chair. But some journals dared irreverence. Col. William D'Alton Mann, terrible tyrant of Town Topics, speculated in print as to who wore the most diamonds, Mrs. Astor or Nelly Farren, the actress. The sporting thing to do, he declared, would be to put them both on exhibition at the Chicago World's Fair. "Or perhaps Mrs. Astor could wheel her jewels to the next Charity Ball in a barrow." From her great dining hall, which ran the width of the house, Mrs. Astor withheld comment on these flippancies. After all, she was being correct, and that was all that mattered. She sat there in her splendor while her guests gorged on a supper served by the irreproachable Pinard on a huge table supported in several places by steel braces to withstand the weight of the ornaments, the groaning dishes and the famous $75,000 Astor gold service. The gold service, which a jeweler, with Mrs. Astor safe in her grave, later was to pronounce only plated. The guests, seated at eight o'clock, seldom would rise before eleven, for there was suitable music by Lander's two orchestras, hidden discreetly behind a forest of flowers on the balcony. And there was the food — pâté de foie gras, canvasback, filet mignon, Blue Seal Johannisberger, claret, Burgundies and Madeira. Their husbands might have to restrain themselves, lest they collapse in the middle of the next day's frenzied money-making, but the women could stuff themselves to the limit and they did. Later, in the ballroom under the great gold chandelier which Mr. Astor had brought home with him from Italy, the queen would reign over the assemblage from a throne which, with certain refinements of styling, would have done justice to a Medici. It stood on a raised platform at one end of the room and was, in effect, a throne, although sober description makes it out an enormous divan. Good enough. It suited Mrs. Astor's purposes, for it was her wont not only to receive homage from that dais but also to utilize it as a reward for the more deserving of her subjects. Around her on her couch she gathered those meticulously chosen according to their social claims, and the individual summoned thereto for an interval enjoyed top social standing. But the Astor throne, though capacious, had its purely physical limitations and in choosing her favored courtiers, the queen was forced to take this into consideration. Sadly she barred an intimate of majestic proportions from the couch, explaining: "How can I have her when you have to allow her at least two seats?" Possibly her decision was prompted by a contretemps that occurred at the previous year's Ball. At that time an Englishman had been assigned the spot next to the Amazon; and he suffered the cruel tortures of having the matron's tight steel corsets poked into his slender buttocks every time she breathed heavily. Finally, his endurance exhausted, he turned to her and asked politely: "Would you mind removing that book from your pocket?" The lady hoisted her massive hips from the couch and fled in tears. Another invariably missing from the couch was Mr. Astor, a cross the queen bore in gracious silence. Mr. Astor, indeed, seldom was seen in his own home, for he preferred the sea to the ballroom and spent most of his time cruising on his yacht, the Nourmahal. "Odd, isn't it?" Mrs. Astor would remark gracefully to a guest. "I've never been on William's yacht." For his part, William returned the compliment, although he was seen frequently in New York during the 1891-92 season when his wife gave a series of dinners for him. "Introducing him to society, as it were," remarks Harvey O'Connor in 'The Astors'. William's absence, however, was not an obvious handicap to his determined mate. Ward McAllister was about, of course, and later the wine salesman, Harry Lehr, was to dance attendance upon the queen. And there were others whose notable talents Mrs. Astor could buy, people like Maria de Baril, a dusky creature of clanking ornaments, who wrote out all the invitations to the Astor Ball. Maria, it is said, investigated Mrs. Astor thoroughly before accepting the assignment, but once won over she was one of the queen's most valuable assets. An envelope in Maria's delicate handwriting, embellished with Gothic scrolls, made any matron's day a howling success. Eventually, Mrs. Astor was to find 350 Fifth Avenue too small for her expanding activities and after the fashion of the day, would build herself a Renaissance palace further uptown, at Fifth Avenue and 65th Street. But first there was her daughter, Caroline's, marriage to Orme Wilson, Jr., scion of a Southern family which, after having trespassed on propriety by selling blankets to the Confederate Army, had redeemed itself with its gracious mode of life in New York. Carrie was married in 1884 in the ebony wainscoted art gallery-ballroom at 350 Fifth Avenue at a fête that was not to be excelled in splendor by any nuptial event of the century. Luckily, practically anybody could be invited to a wedding without compromising one's social tastes, so few were deprived of the privilege of witnessing the magnificence of the occasion. Under the great gold chandelier and four golden candelabra, an aisle of three-inch thick carpeting was laid down for the bride and groom. At the ebony fireplace stood a prie-dieu smothered in roses and on either side of the fireplace were Roman pillars 10 feet high encrusted with the finest roses. The wainscoting was banked with green foliage, white lilies and orchids and majestic palms screened the music-makers in the balcony above. A guest estimated that the flowers represented an investment of $7,500; the wedding gifts, including a glass smelling bottle contributed by one J. F. D. Lanier, were valued at more than $1,000,000. General Grant and General McClellan were there and both got a little drunk; the former suffering minor burns about the lips when he attempted to chew on the lighted end of a cigar. "But he (Grant) is charming," a lady guest later confided to her diary. "I dare to confess it would be ecstasy to be ravished by such a hero." Society later buzzed with the intelligence that a footman, in the blue livery of the House of Astor, had pummeled a reporter who suggested that a ten-dollar bill could be found for the man who furnished a description of the negligée Mrs. Astor was reported to have stowed away with the bride's trousseau. Now it was that Mrs. Astor occupied herself with the plans for her new mansion. William expressed some annoyance at spending $1,500,000 on the house and another $750,000 for the furnishings, but was won over when his mate persuaded him that his presence in the castle's splendor would not be required. As it was, Mr. Astor died just before the house was finished in 1895. This new setting for Mrs. Astor's court was of gray stone, of what was fashionable to describe as 'modern Renaissance style'. It was a double house, with Mrs. Astor occupying the northern half, and her son, Col. John Jacob Astor, and his family living in the southern half. But the house was so planned that the central portion which ran up the middle of the wide staircase, dividing it and the rest of the house into two parts, could be removed should it ever be decided to make them into one dwelling. Meanwhile, temporary partitions could be taken out between the drawing rooms and the halls so as to throw these together for large entertainments. The great house reflected the conservative tastes of an older Mrs. Astor. Huge chandeliers with crystal pendants gave the ballroom an Old World brilliance; it was, at once, both ballroom and picture gallery, and its walls were crowded with old masters, its decorations sculptures by Karl Bitter. Here it was that Mrs. Astor began to yield to inevitable change. The 400 which long limited her balls, grew to 600, then 800 and finally to over 1200 — but she still remained in command of the situation. To the end, she held the torch for a decorous Society, its routs and soirées secluded from the public, and everything done by rote and precedence. Mrs. Stuyvesant Fish was in her ascendency, but Mrs. Astor showed no concern except in whispered asides to understanding courtiers about the 'circus set'. And Mrs. Fish and Mrs. Astor continued to exchange invitations, even after the latter, in one of her rare interviews, told a writer for a woman's magazine that: "Some New York women seek only notoriety." "Everything attending this first gathering of the '79' was framed in a magnificence limited only by faultless good taste. It was the nearest approach to the American salon to which the royal visitor could be bidden. The culinary staff of Mrs. Aster's establishment at No. 842 Fifth Avenue were alone employed. "The 79 were served on the Astor gold dinner service, including gold platters, gold compotieres and gold-covered dishes. Throughout the dinner Victor Herbert's orchestra played in the drawing room. The famous ballroom, when not used for dancing makes a stately reception room, and it was here that the men rejoined the ladies after dinner. "Mrs. Astor never has bridge whist after her dinners, but, following the old custom, relies upon the conversation of her guests to provide the entertainment." The World was wont to praise periodically the 'authentic elegance' of the Astor palace and speculate on what gallery might be its final resting place. 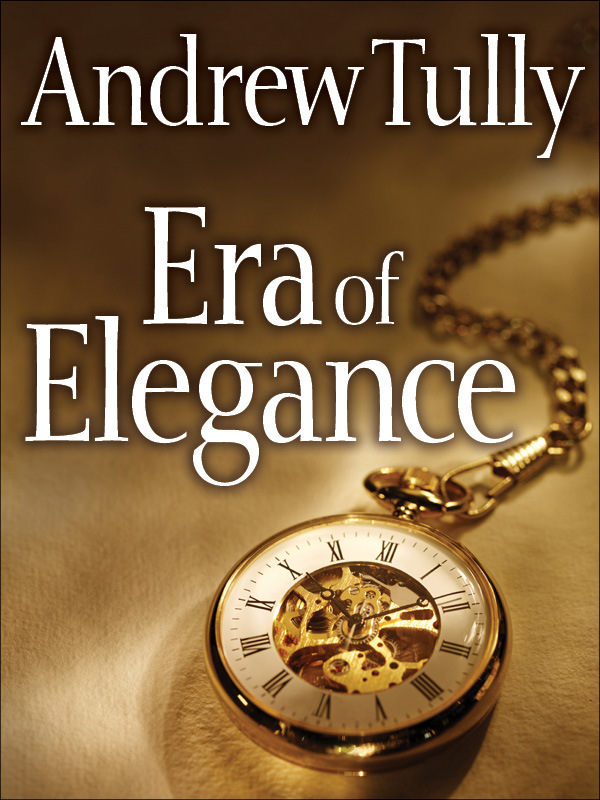 Possibly, The World's Department of Splendor was a little over-enthusiastic, for in 1909, when Mrs. Astor had been dead just a year, the public heard that the elegance had faded considerably. At a court hearing concerned with the Astor Estate, an expert from W. and J. Sloane not only sniffed at the authenticity of the furnishings but finally was pinned down to describing them as "very dilapidated and worn." The furniture in one bedroom, for instance, was appraised at $430.00 and a great tapestry which had awed two generations of Astor guests in the reception room could be bought for $10. "It is badly faded and very soiled," said the expert. As for the gilt chairs in the ballroom, it was estimated they cost $3.75 each when new, but were now valued at only $1.50 apiece. Some of them were very rickety, the expert explained. He went on; about $25 would cover the value of the stair carpeting, "every tread of which is worn on the edge." The high-backed sofas in the ballroom? "Very soiled." But what of the four paintings after Boucher? "They're not paintings at all, simply done by some amateur." Luckily, Mrs. Astor wasn't around to hear this recital. When she died at 78, the year before, she was still supreme in her world and the public had acknowledged it by gathering, 2,000 strong, at Fifth Avenue and 65th Street to see her coffin carried down the gray stone steps. Nor is it likely that her tomb was shaken sixteen years later when her house became the victim of the first breach by the apartment house era of Millionaires' Row. As the workmen labored in the mansion's debris — a debris of traditions as well as of marble and plaster — they might have heard Ward McAllister's voice, softly intoning Mrs. Astor's epitaph: "A real woman in a real woman's atmosphere." Copyright 2016 • eNet Press Inc. • All rights reserved.